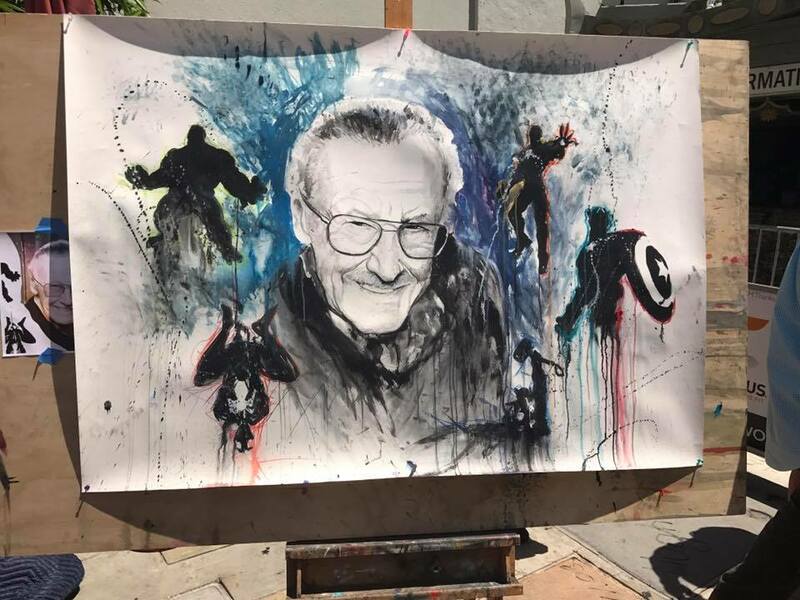 Glasgow street artist Danny McDermott AKA EJEK paid amazing tribute to the late, great Stan Lee who sadly died on November 12, 2018, with a colorful heartfelt memorial mural. 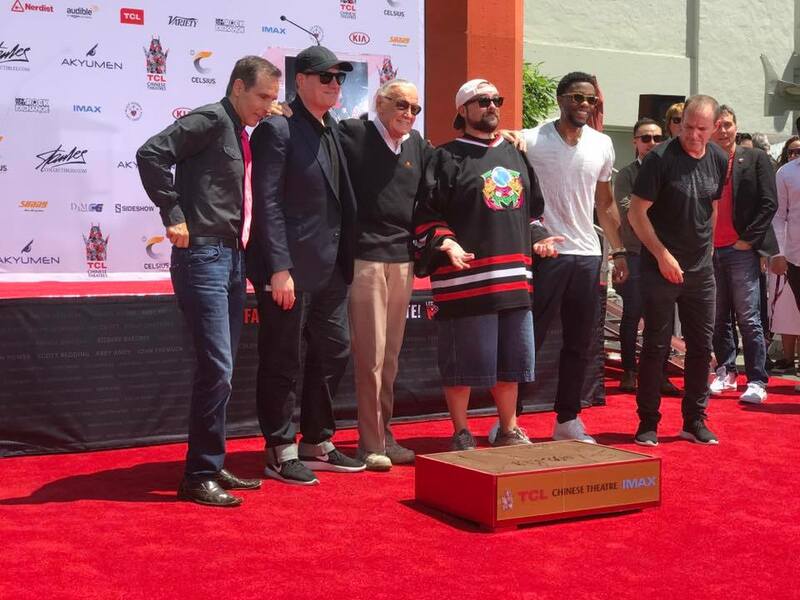 The mural featured Lee’s grinning face surrounded by beloved Marvel superheroes that he helped create. The mural located on a wall on Cumberland Street in the Gorbals area of Glasgow, Scotland. 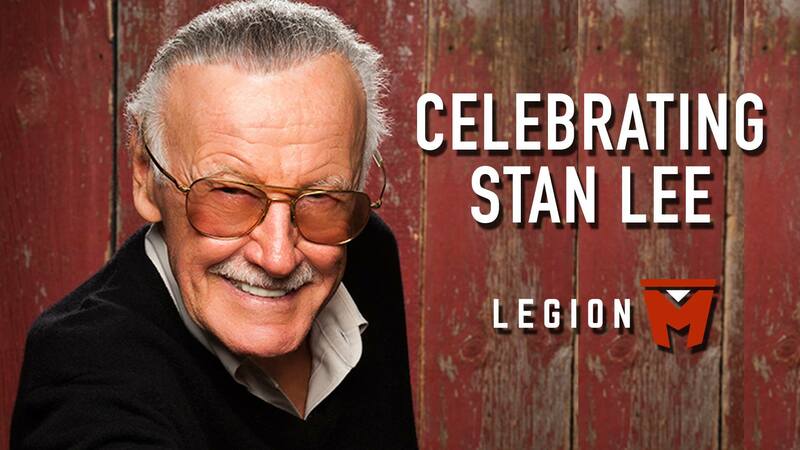 Marvel Comics salutes the life and career of Stan Lee and offers their undying gratitude for his unmatchable accomplishments within their halls. 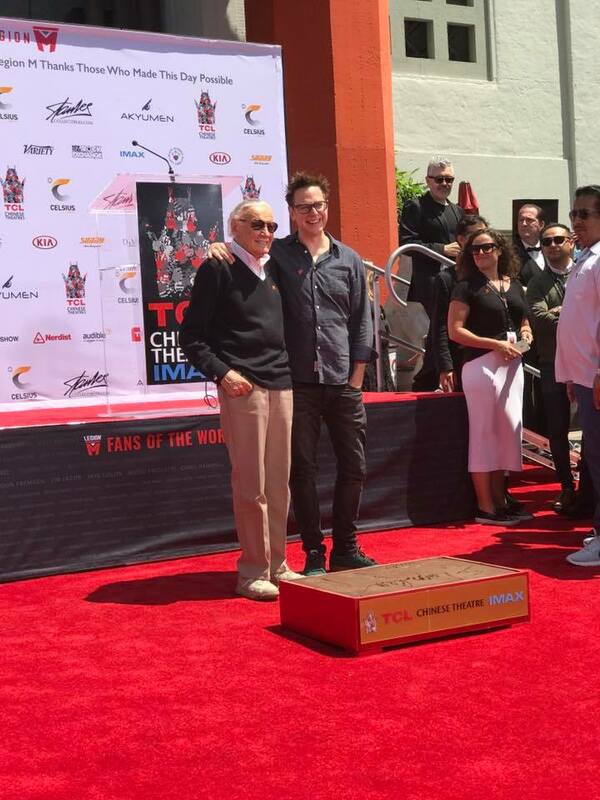 Please join in remembering the legacy of Stan “The Man” Lee. 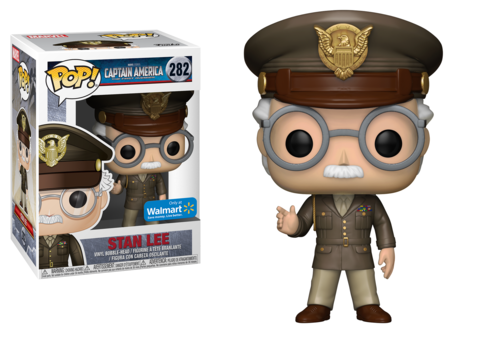 Stan “The Man” Lee passed yesterday at the age of 95. His impact on popular culture is immeasurable. To honor the comic book icon, artist Josh Budich has brought back his long-sold-out “The Man” print – this time as a ‘Golden Age’ gold-foil edition of just 100 copies. 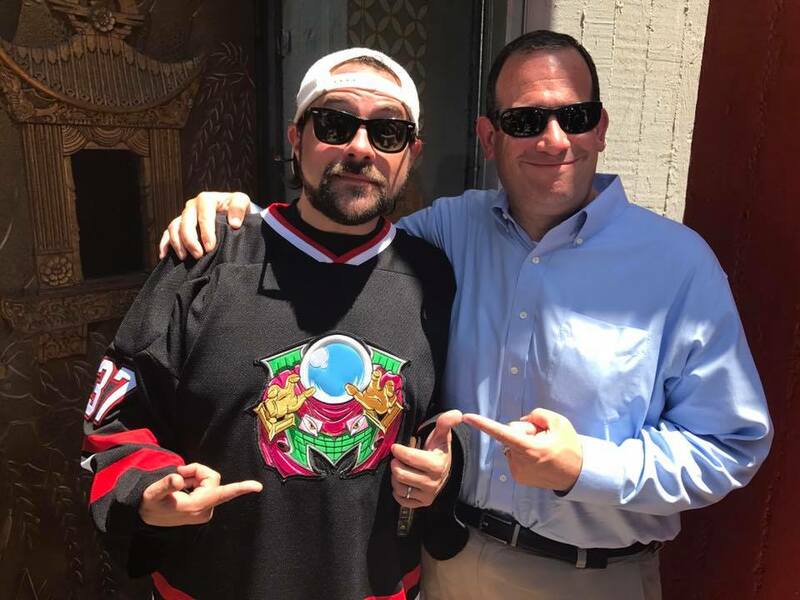 Josh has requested 50% of proceeds be donated to The Hero Initiative– which assists comic book creators in need. This 18×24 print is hand-printed on gold foil, and hand-numbered in a limited edition of 100 copies. This is a pre-order item. The print will ship in time for delivery for the Christmas holiday. Order HERE for $50. 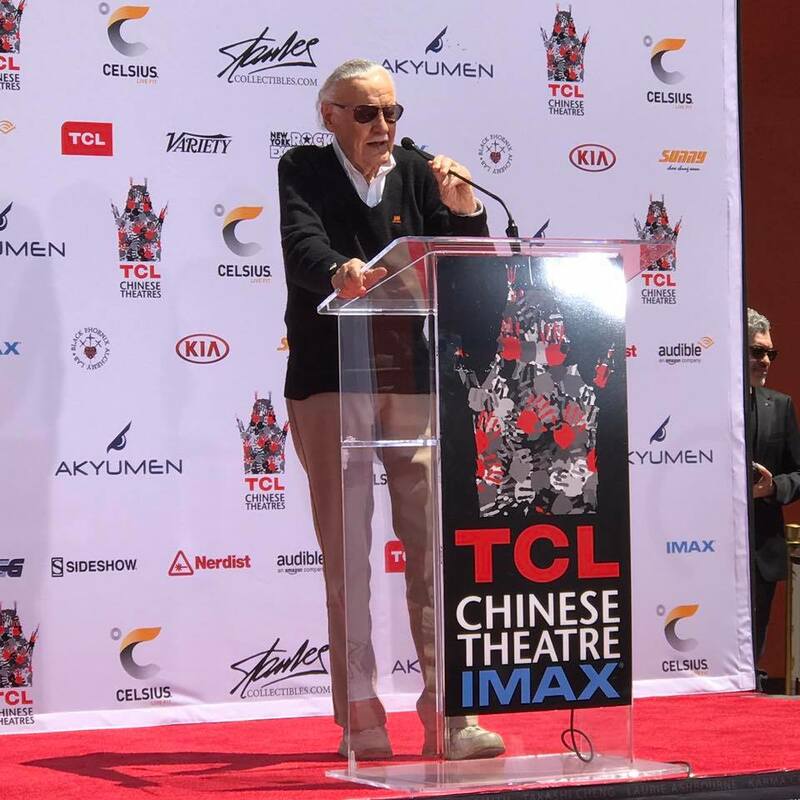 Mr. Lee was for many the embodiment of Marvel, if not comic books in general, and oversaw his company’s emergence as an international media behemoth. 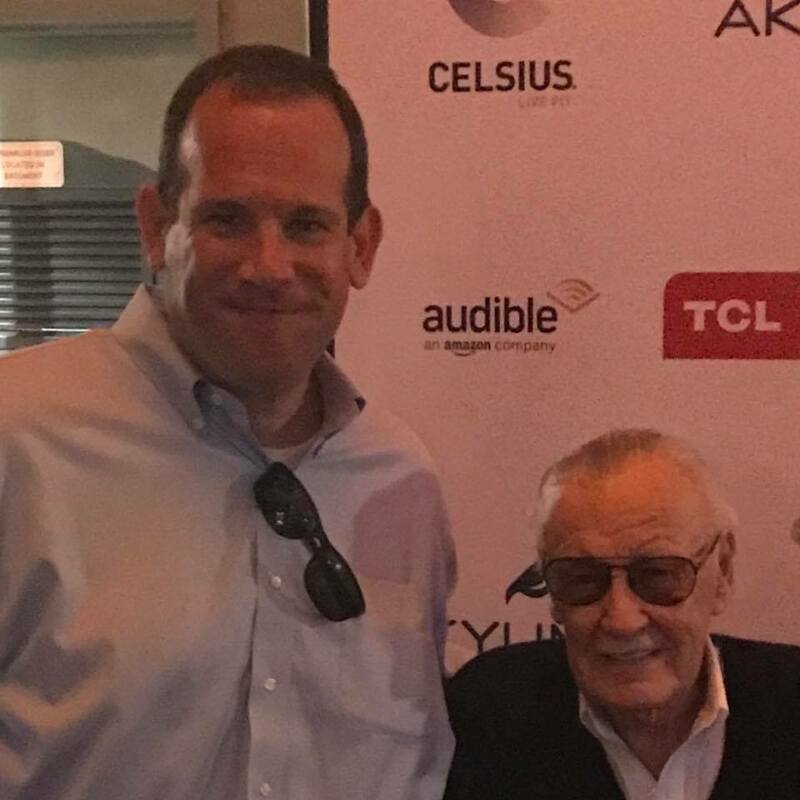 A writer, editor, publisher, Hollywood executive and tireless promoter (of Marvel and of himself), he played a critical role in what comics fans call the medium’s silver age. 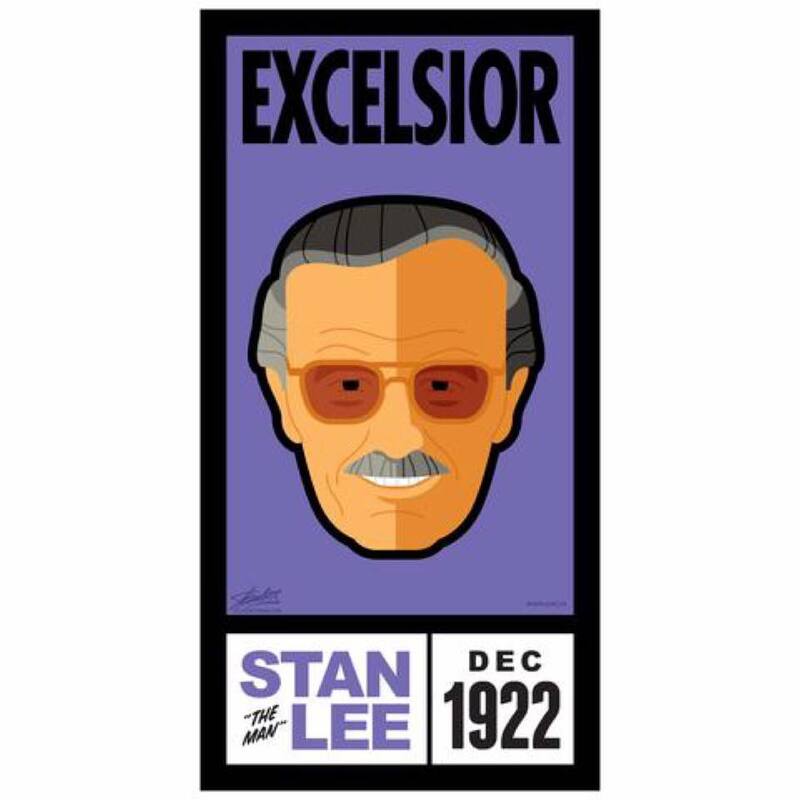 Energetic, gregarious, optimistic and alternately grandiose and self-effacing, Mr. Lee was an effective salesman, employing a Barnumesque syntax in print (“Face front, true believer!” “Make mine Marvel!”) to market Marvel’s products to a rabid following. 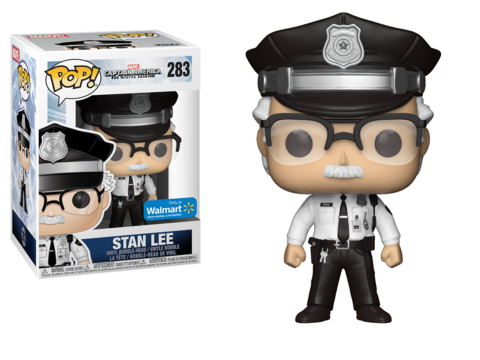 New Funko Pop!s of Stan Lee featured in outfits from his various cameo appearances are arriving at Walmart in November. The wit and wisdom of the caliph of comics is on display for all to see in one mighty volume! 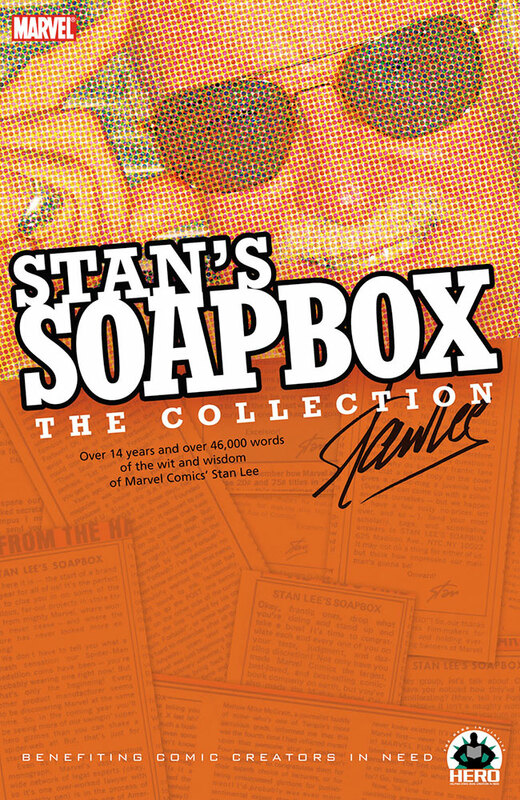 All of Stan Lee’s groundbreaking, legendary “Stan’s Soapbox” columns from 1967 to 1980 are collected for the first time ever! And that’s not all! 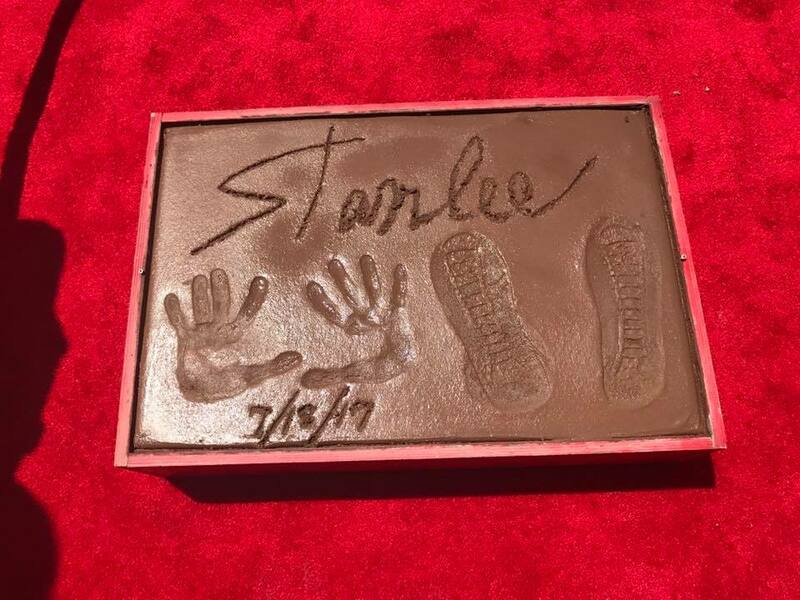 Columns are presented in a historical context, so you can immerse yourself in the flavor of the day, and get a sense what was happening right outside Stan’s window when he penned ’em. Some are poignant, some informative, some touching, and some funny. But they’re all memorable! You can order the 144 page softcover HERE for $14.99. 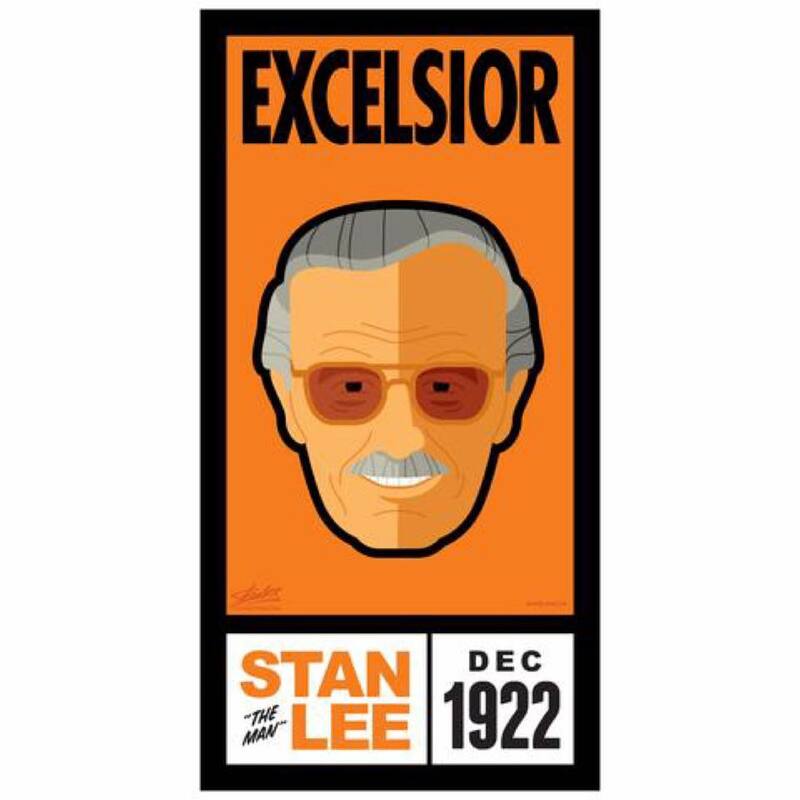 Stan Lee Collectibles is proud to present a 4 poster set featuring the legend himself Stan “The Man” Lee. 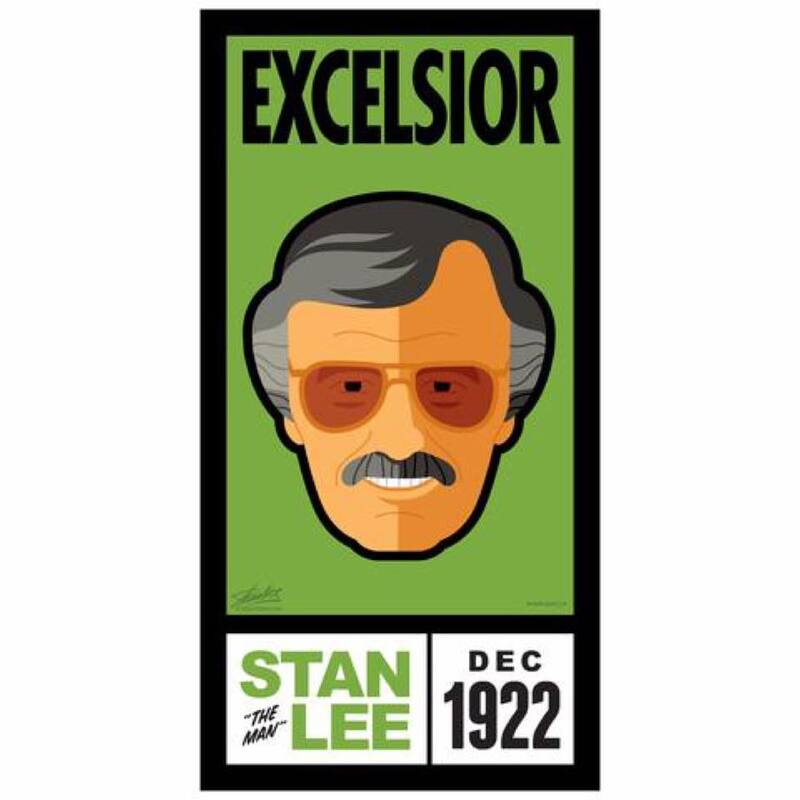 Celebrate Stan and his illustrious career throughout the ages as depicted by the world famous print artist Tom Whalen. The print will be 9.5 x 19 Check out the renditions of what will be available! Stop by booth #429. 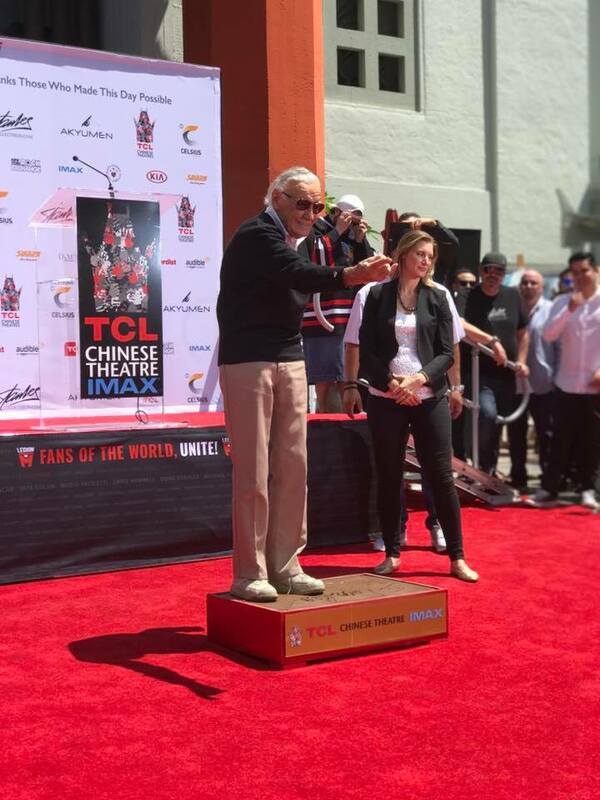 On July 18, 2017 the iconic creator and force behind Comics, Stan Lee, put his handprints and footprints in cement in the forecourt of the TCL Chinese Theatre IMAX. 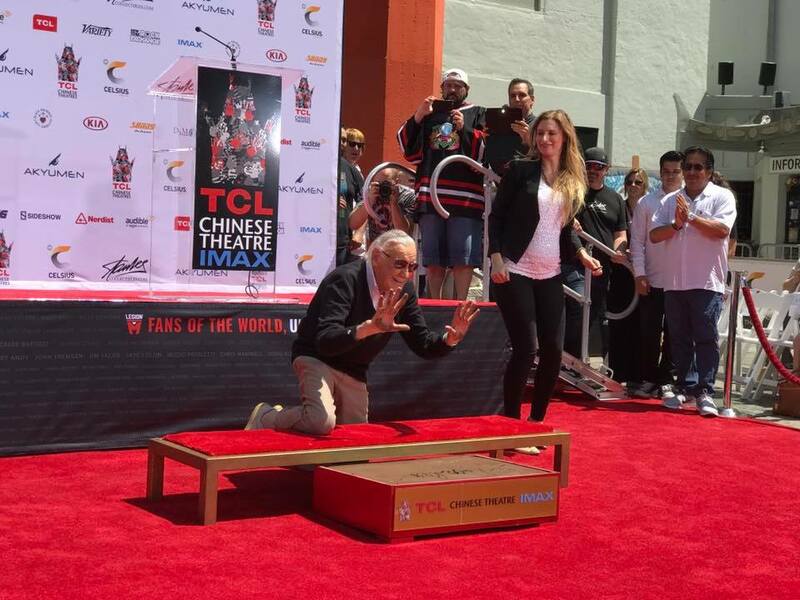 Presented by Legion M, ICON: Celebrating Stan Lee, was the first ever handprint-footprints ceremony in TCL history to be organized and hosted by the fans. 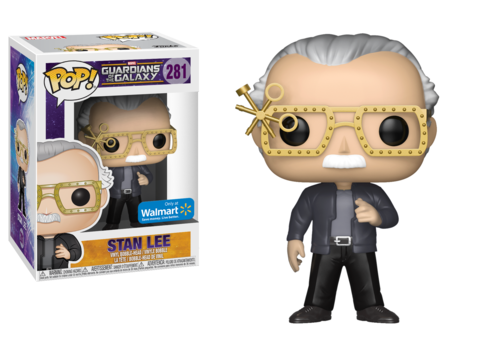 Stan Lee, the chief creative force behind the rise of Marvel Comics, brought to life some of the world’s most famous heroes and infamous villains, including Spider-Man, The Hulk, X-Men, Fantastic Four, Iron Man, Thor, Daredevil, Dr. Strange, The Avengers, Loki, and Dr. Doom. His stories featured heroes and villains that were more psychologically complex than had ever been seen previously. 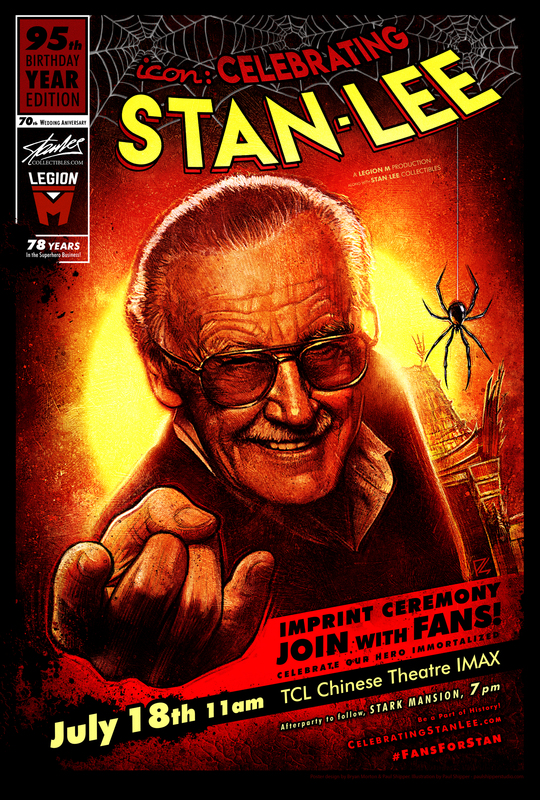 As a producer, writer, editor, publisher, actor, host and executive, and idol to many, Stan ‘the Man’ Lee has exerted his influence over the entire entertainment industry leaving an indelible mark on the comic book industry having created or co-created 90% of Marvel’s most recognized comic characters. 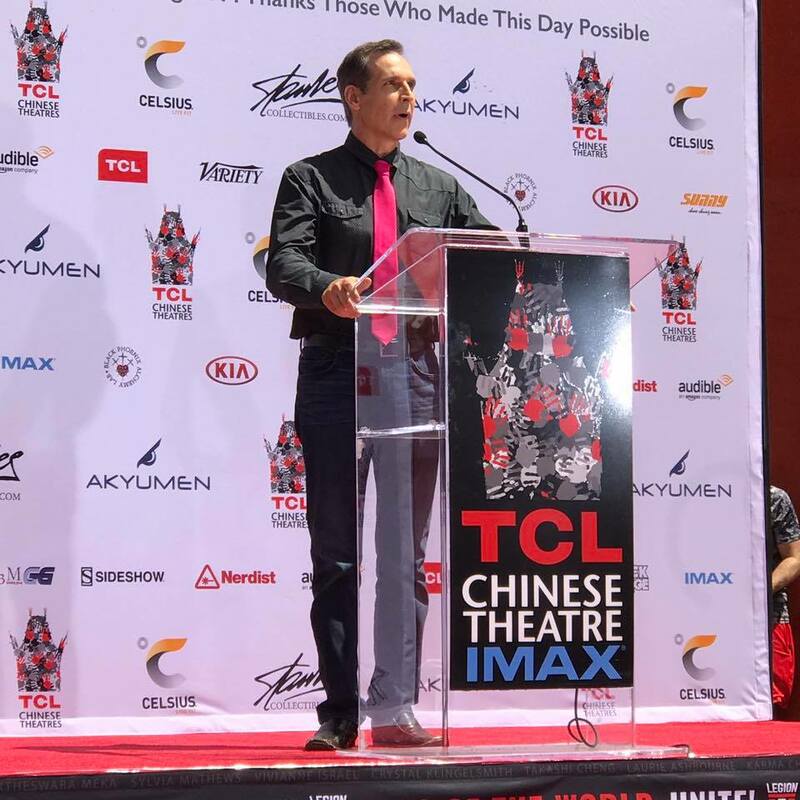 These creations have spawned books, films, television series, video games, web series, Broadway shows and more offering a lifeline of box office success to the entertainment industry, toy industry. 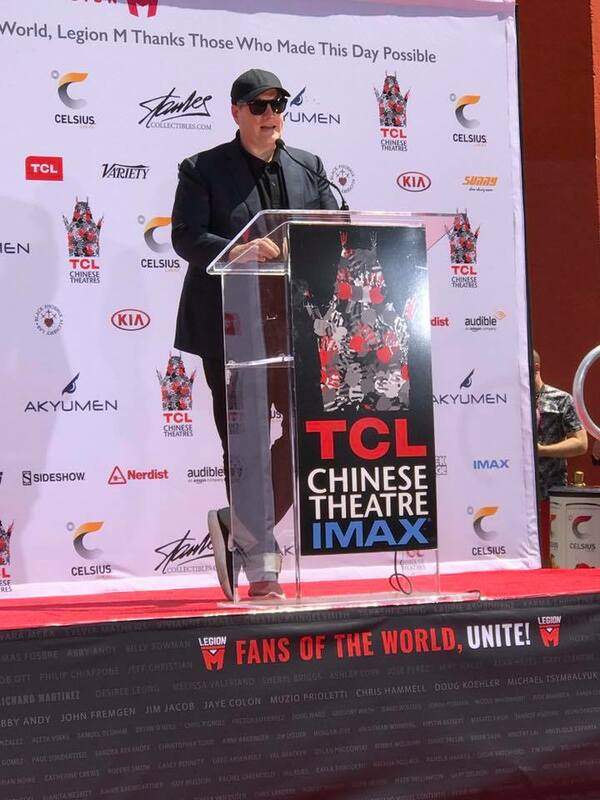 With help from Marvel Studios president Kevin Feige, director Kevin Smith, Black Panther star Chadwick Boseman, Agent Phil Coulson himself, Clark Gregg, and comic book artist Todd McFarlane, Lee pressed his hands and shoes into a slab of wet cement. 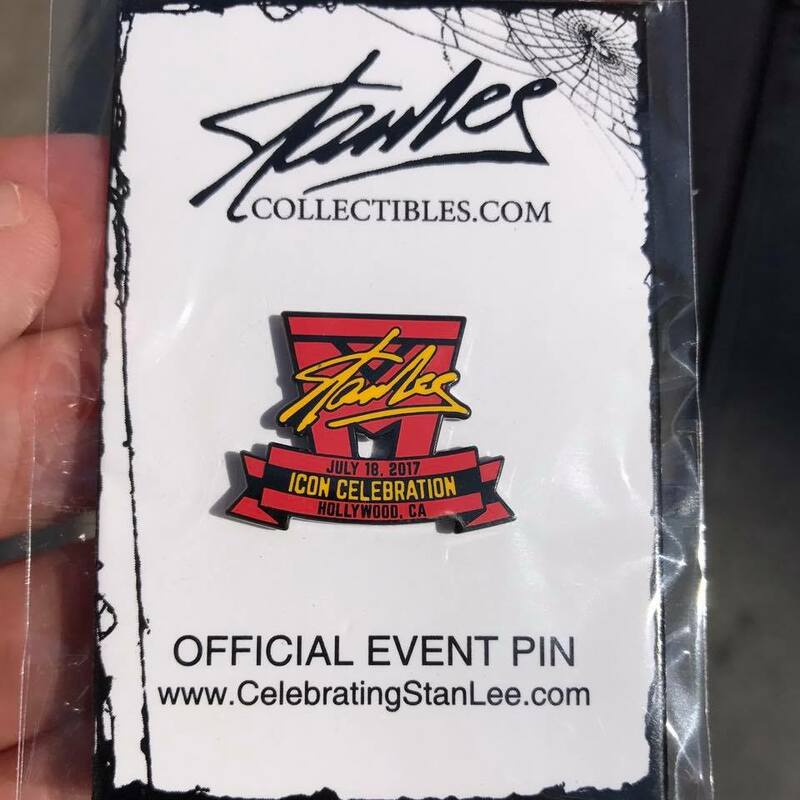 In 2017, Stan will celebrate his 95th birthday, 70th wedding anniversary, and 78th anniversary of the day he first started in this industry filling inkwells at Timely Comics. 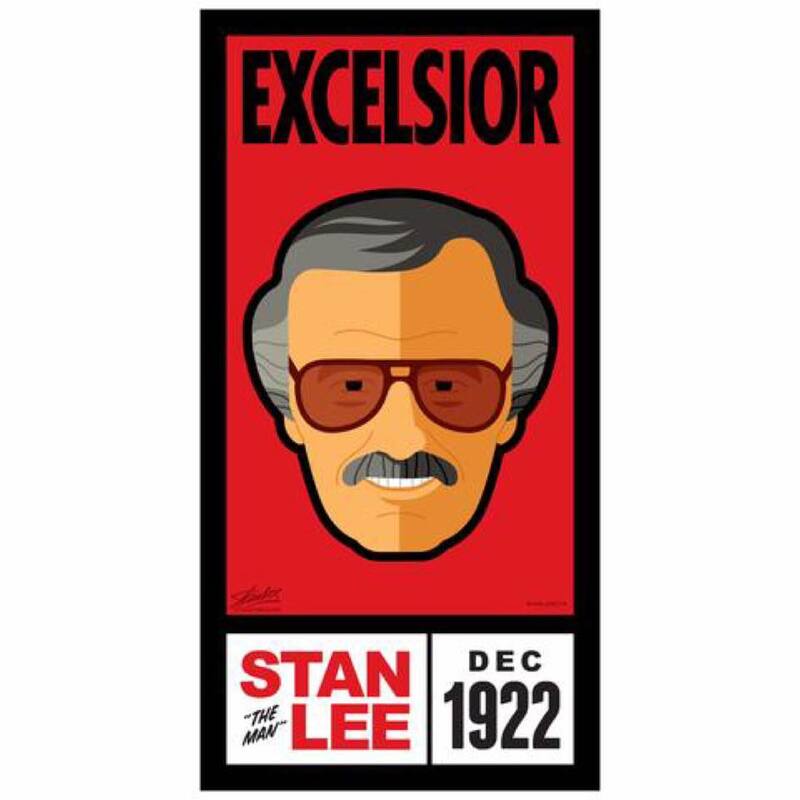 Few figures in comics have a legacy quite like Stan Lee‘s. Alongside Jack Kirby, Steve Ditko, and John Romita, Lee co-created almost all of Marvel’s biggest heroes, including Spider-Man, the Avengers, the Fantastic Four, Hulk, and the X-Men. 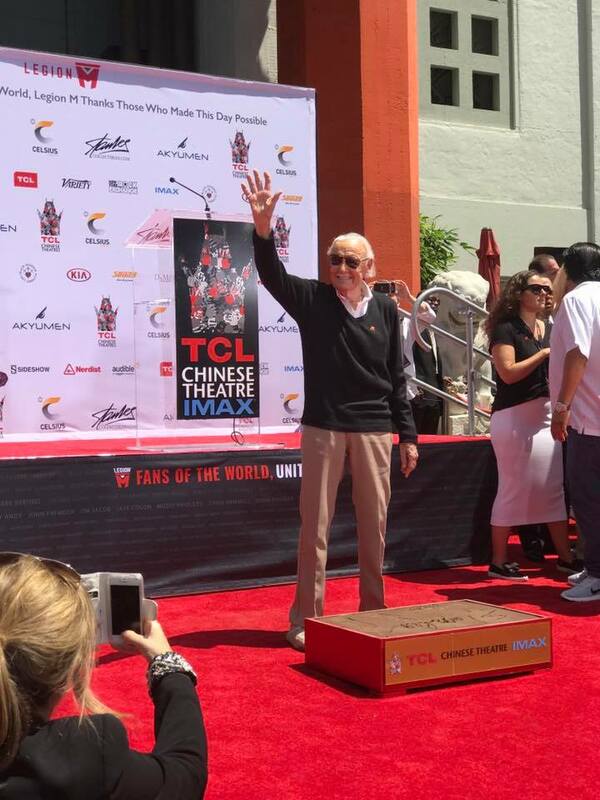 Lee is a true living legend, and this year, he’s going to get his due. 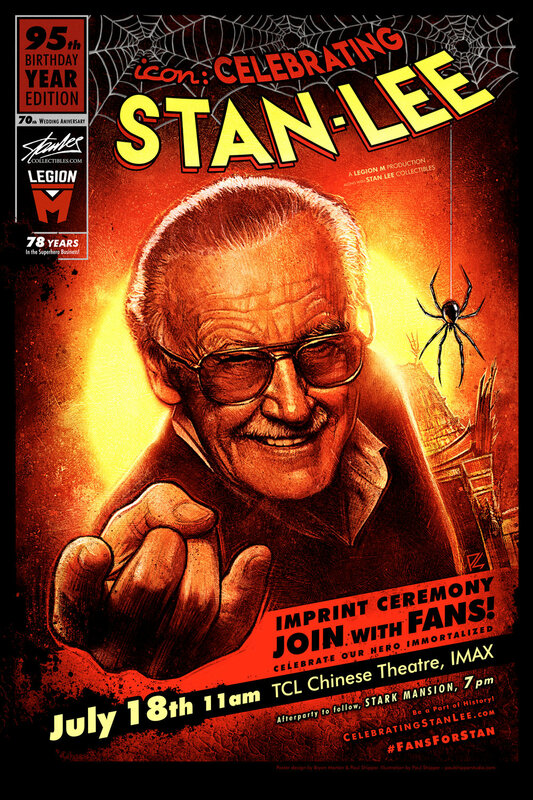 On July 18th, Legion M and fans from around the world are coming together to celebrate Lee’s 95th birthday, his 78th year in the comic book industry, and the 70th anniversary of his wedding to Joan Lee. 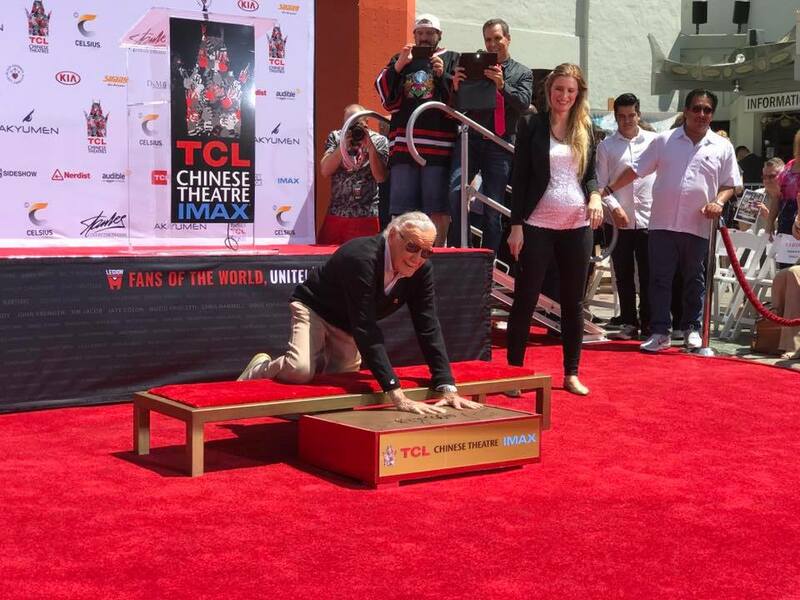 To mark the occasion, there’s an epic party starting at 11 am at the TCL Chinese Theatre IMAX in Hollywood, where Lee will make an impression of his handprints in cement that will be placed alongside Hollywood luminaries from the past and present. Check out the poster for the event, which will also be available as a limited edition. The poster was designed by Bryan Morton (Star Wars: The Force Awakens) and Paul Shipper (Doctor Strange). 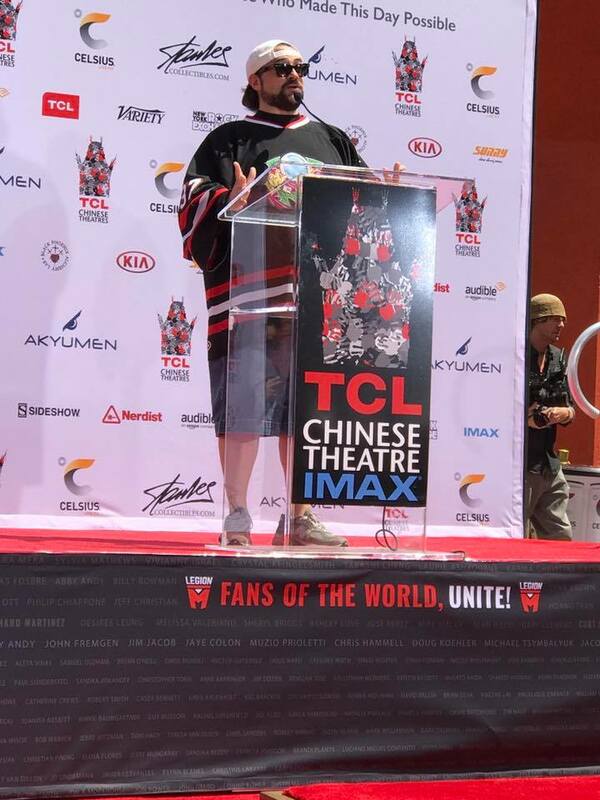 It’s a terrific image that features Lee doing his best Spider-Man impression, and it really captures his spirit. 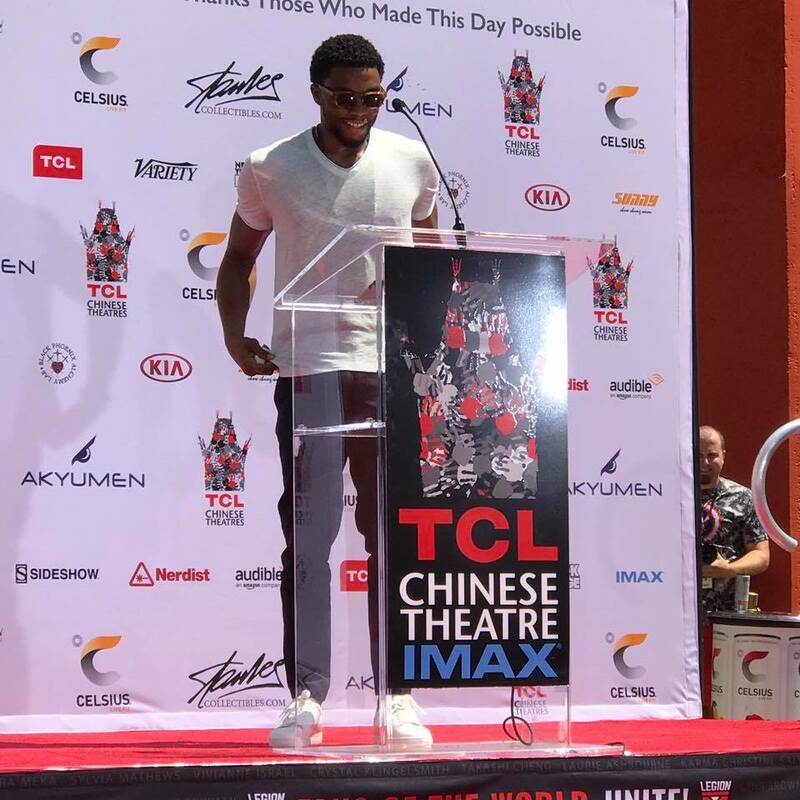 But this is just the beginning of Lee’s big day. We are thrilled to exclusively announce that Legion M is also putting on a massive afterparty for Lee in the Hollywood Hills at a 9,000 square foot mansion fit for Iron Man himself. 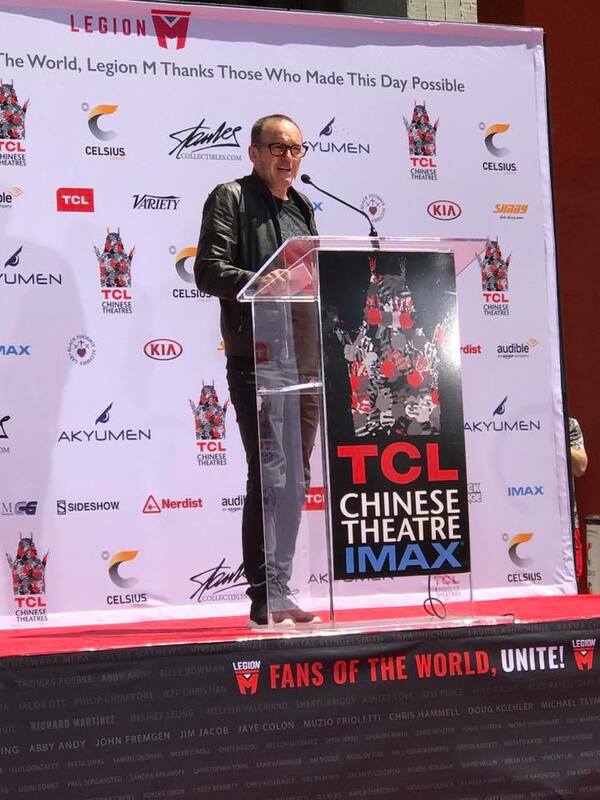 It’s already been dubbed the Stark Mansion Bash, and it’s going to be a semiformal event that will feature performers, professional cosplayers, and even the chance to participate in a massive group photo with Lee and the rest of the guests. 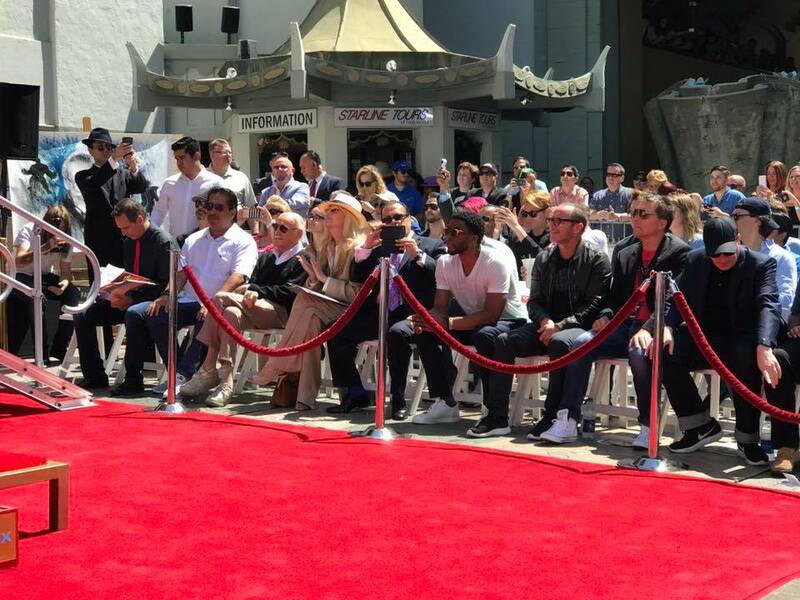 To learn how you can participate in this event, check out Legion M’s official page.